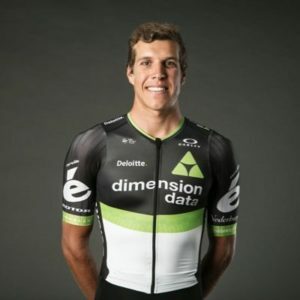 Our special guest for the January 2017 quarterly club meeting will be WorldTour rider Nicolas Dougall of the Dimension Data Team (yes, he’s a teammate of Mark Cavendish!). Last year, Nic raced a very full season which included several classics races (E3 Harelbeke, Gent-Wevelgem, Flanders), a few stage races (Tour of Slovenia and Croatia), and a grand tour (Vuelta de Espana). Nic then finished off the year by finishing 18th(!!!!) at the world championships in Doha. Please join us on Monday for the opportunity to hear what it is like to be a WorldTour rider. The meeting will take place at 7:30pm on Monday, January 9, 2017 at Summit Bicycles in Burlingame. All club members and prospective members are encouraged to attend.